The hands-down easiest method I know for how to hard boil eggs! These Instant Pot Hard Boiled Eggs are quick to prepare, easy to peel, and wonderfully reliable every time. Quite simply, the Instant Pot just takes 100% of the guesswork out of making the perfect hard-boiled eggs. No need to babysit the stove, or deal with a huge pot of boiling water, or cross your fingers that the eggs are boiling for the correct amount of time. Nope — once you have placed the eggs and water into the Instant Pot, it will handle the rest of the cooking for you. And for some magical reason, Instant Pot hard boiled eggs are also surprisingly easy to peel afterwards too. Bonus! 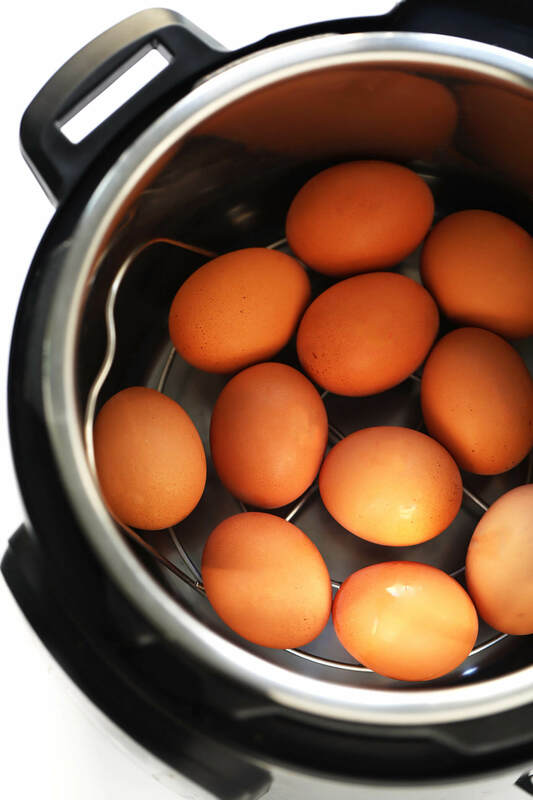 Of course, if you don’t yet have an Instant Pot in your kitchen, this traditional stovetop hard boiled eggs method still works like a charm. But I switched over to making my hard boiled eggs in the Instant Pot a few years ago. And it’s so ridiculously easy and reliable that I’ve never looked back. Here’s how I make mine!